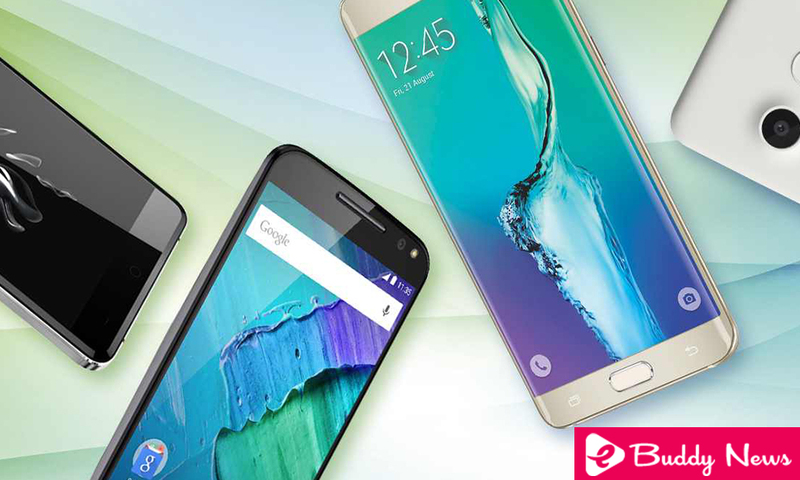 Choosing an Android smartphone is not always as easy as it seems. There are more and more Android smartphones on the market, and the differences are increasingly difficult to see. Can you afford any Android smartphone and do not know what to choose? We tell you what is your best option and other alternatives. Presented during the Mobile World Congress and put on sale a few days ago; The Galaxy S9 is probably the best Android smartphone on the market. Samsung has continued to enhance key points such as camera and screen, aspects in which they were already leaders. In addition, they have improved the location of the fingerprint reader, which is still not optimal (it is still close to the camera) but which has significantly improved compared to the previous generation. In addition, it is still a mobile phone with water resistance, headphone jack and a large list of compatible accessories, such as wireless chargers, Samsung DeX or Samsung Gear VR. The only point to not recommend the Galaxy S9 + would be the customization layer “Samsung Experience”, which is very particular. As for updates, say that although Samsung takes to update to older versions of Android if it offers timely security updates. The best: Screen, camera, extras. The worst: The software is not to everyone’s taste. If you do not like Samsung’s add-ons in your customization layer, surely the best option you can opt for is Google Pixel 2, a mobile phone that is completely different in almost every respect. When we perform our analysis, we draw two conclusions. It is the best mobile with Android created to date and is practically excels in all sections, except a fundamental one. This detail is really what you should ponder when buying the terminal. Your screen; on the other hand; It is the worst of the high range, although when you get used to it, you can live without it. If the screen issue does not worry you, we recommend this terminal even above the Galaxy S9. But that depends on you. The best: Software, performance, camera autonomy. Almost perfect. The worst: The worst screen of a high-end smartphone. The LG G6 was a high-end mobile that came soon to the market, and although it has spent practically the last half of the year being one of the best phones in the market, it was not up to the largest. LG renews its bet to compete at the top, and they have done great. Undoubtedly, one of the best phones of last year. Undoubtedly is the best mobile that LG has done to date, although it is not free of errors. Perhaps the most remarkable is its OLED panel, which without being as bad as the Google Pixel 2 XL, is certainly one step below the Galaxy Note 8. LG has unveiled the new LG V30S ThinkQ. It is the same mobile phone, and the news will reach the V30 in an update. The best: Cameras, video recording, sound. After several generations without being able to enjoy a Galaxy Note in Europe, the arrival of the Galaxy Note 8 has been celebrated by all the fans of the brand. No doubt it is a unique mobile, thanks to its integrated pen on the device, which allows us to take notes directly on the screen, paint or sign documents. Not only the pencil, we find a mobile that equals or improves almost everything to the Galaxy S8, the mobile phone that until recently we considered the best of Android in the market. We have the same performance, water resistance, and for the first time in a Samsung, double camera. Perhaps the Galaxy Note 8 has lost some prominence, and that is due to the departure of the Samsung Galaxy S9, a more complete mobile in terms of specifications. Even so, the SPen pen is still a unique and exclusive value of this mobile range, which makes it worthwhile, if you are a user who takes many notes by hand or likes to draw. The best: Screen, camera, pencil. The worst: location fingerprint reader, battery lower than S8 +. Huawei has been launching its new processors in the Huawei Mate for a few years now, always being the best mobile of the company. Not only that, but it is also a type of mobile with a large screen and one of the best autonomies you can find in this range. As negative points, we note the large size and weight of this device, the price to pay for having so much screen and battery. On the other hand, the customization layer of Huawei continues to improve, but still not everyone’s taste. The best: Screen, battery, cameras. The worst: Layer of customization and size. Although HTC is not going through its best moments, the truth is that his previous flagship was outstanding. HTC has made a radical change to its top of the range, leaving the range One and what identified it, and improving even more if it fits its flagship product. After having tested this mobile in an exhaustive way, we can say without any doubt that it is one of the best mobile phones to which we can choose. Solid performance, outstanding camera, and autonomy that has exceeded all our expectations. In addition, Edge Sense (its exclusive feature) we liked it a lot. Improving the HTC U11, the Taiwanese presented the HTC U11 +, an improved version of the U11 that we loved so much. The fingerprint reader happens to be in the back because it now integrates an 18: 9 panel. The battery also drastically improves, and that of the U11 was not exactly bad. The best: Performance, sound, drums, Edge Sense. The worst: It does not have a headphone jack. Unless you are in a hurry to buy an Android smartphone, we recommend you wait until April, as two heavyweights arrive that you should consider in your preferences. The first is the Huawei P20, which will be presented tomorrow, and which promises to be one of the best bets for those looking for a good camera since rumors suggest that it could have a triple camera configuration. On the other hand, the Sony Xperia XZ and XZ2 Compact are already available on Amazon in pre-purchase, but will not arrive until April 6, date on which they will be officially on sale. We are already testing the Xperia XZ2, and we anticipate that it is a mobilize. In a few days, you can read our full review.